At Exbourne Primary School, pupils from year 1 to year 6 have been allocated a login as their first name and the password for all is, timestables. If your child has the same name as another child in the school their username will also include the first letter of their surname. At Exbourne all pupils have a login for RMeasimaths. This is another maths resource to use whilst at home. 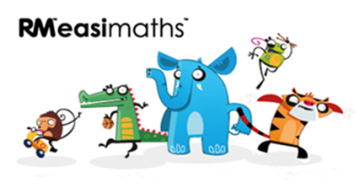 It is an online programme which enables your child to practise their maths skills. At Exbourne pupils from year 1 to 6 have an individual login for SPAG.com. This resource tests pupils’ knowledge of spelling, punctuation and grammar and prepares them for the end of key stage one and two tests.